Nomadisch Grün (Nomadic Green) Starting in the summer of 2009, the non-profit company „Nomadisch Grün“ has leased a site in Berlin/Kreuzberg in order to create a mobile urban farm: The Prinzessinnengarten. Locally grown organic vegetables Our fresh, organic, locally produced herbs and vegetables are grown in raised compost beds without using any pesticides or artificial fertilisers. Mobile Gardening We temporarily transform unused spaces such as buildingsites, car parks and roofs into urban farmland and green meeting places. Sustainable Living The Prinzessinnengarten is a place of discovery where children, neighbours, experts and those curious about sustainable living can come together to about and explore alternative visions for our city. What was the concept for the garden? I got the idea to start a garden when I was in Cuba. Many people, including city-dwellers,grow their own food in gardens there. Initially what was interesting to me were the visual contrasts between city/land or grey/green. As the plans for our garden started to come together, these contrasts became more interesting, for example, that between the socially conscious and the economic. When I saw that this idea works sustainably in Cuba, I became interested in the reasons and background, which was how the concept for this garden came about. In the beginning, it was just an idea with a very personal motivation behind it. I had recently become a father and could no longer imagine my career the way it was with a child in my life. I was working in theater and was constantly traveling. I wanted to spend time with my child and also do something that I can really stand behind. On my second trip to Cuba, I saw the same garden that I had visited two years prior, and I started to wonder if it would be possible to do something like that in Berlin. At first, I was naive in my approach, thinking that there are lots of empty lots and people would be happy if something were to happen there. The idea became more interesting as I explored the possibilities and gained an understanding of all the details. I asked myself, can I really do this? Can you bring a garden into the city? And if you are serious about running it as a business, can you earn a living with it? So between it being a personal project and a socially conscious mission, which aspect was in the foreground? Let’s say it was the multitude of reasons that made it fun. This was as much an issue then as it is in this garden today. The tension between the socially conscious on one hand and being able to support oneself on the other was always there. The question is how to combine the two. Why gardening? I think the potential benefits of gardening as I have experienced it is that food is of universal appeal. In the beginning, I didn’t see it that way. Gardening was more like a personal hobby, where you somehow combine many positives, such as time, a different sense of managing it, as in, how long do plants need to grow, and the work itself, which with its fleeting nature also leaves room for social interactions. Perhaps it is also the romantic image of gardening that reminds me of my childhood. Can you describe this image? How did you imagine gardening? Back then my idea of bliss was leisurely taking care of brand new radish saplings with lots of friends and a couple of newcomers, watering and nurturing them, and chatting with folks who are similarly interested in these things. A very sunny and romantic image, which didn’t have a lot to do with the overwhelming amount of communication and organization that is actually required. What happened to this romantic image when it came time to earn a living with your gardening idea? What happened to this image in your head? What does the reality look like today? What I imagined as far as the leisurely cooperative learning and gardening certainly exists in the garden, but I’m not necessarily the one doing it. We keep a space available so that people have the opportunity to get involved in the garden as they wish. What I do in the garden is a sort of management and endless multitasking. One aspect of the garden is to address a variety of matters and thereby attract lots of different people with their own interests, people who then get to express their interests by asking questions. What I do above all in the garden is to coordinate these two fundamental interests, that is, for people to help in the garden and to ask questions. It typically doesn’t include my touching plants very much. So for me, the romantic image is realized only in the watering of the garden,not the gardening itself. If you happen to be stopping at Moritzplatz in Berlin Kreuzberg on an early summer’s day, you just might witness a moving spectacle. Ten thousand or more bees swarm over the square. It’s a surprising sight, as the square is otherwise what could be described as a non-place. It is a transit area, dominated by a busy roundabout. Here, within view of where the Berlin Wall once stood, history has thrown together a heterogeneous urban ensemble of parking lots, disused land, a few remaining Wilhelminian buildings, residential blocks hastily constructed during the postwar period, four oversized subway exits, a mobile snack bar, and the concrete and glass structure of a recently opened department store for creative supplies. The site seems rough and uninviting. What, one wonders, has lured these bees here? The answer is hidden behind a wire fence that is overgrown with hops and lined with billboards. On this bombed-out site, between the roundabout, the subway station, and a 22-foot high firewall, grows a garden. Entering through a door in the fence, the noise of the city becomes slightly muffled. The pace slows down. People can be found gardening in the planter beds, walking among the plants or sitting in the sun drinking coffee. All kinds of herbs and vegetables can be found sprouting from the plastic baskets: turnips, carrots, parsnips, kale, red Russian kale, radishes, fennel, basil, tarragon, sage, thyme, lovage, salad burnet, sorrel, chard, orache, charlock mustard and purslane. Between them are the luminescent blossoms of dandelion, cornflower, nasturtium, borage and malva. Growing in rice sacks are different varieties of potatoes with revolutionary or royal names like Red Emma and King Edward. Tomato plants have grown tall on improvised trellises, promising yellow, red and black, plum and heart-shaped fruits for the autumn. Seedlings are sold in modified Tetra Paks from a shipping container that has been converted into a sales stall. A signboard indicates which vegetables are ripe enough for visitors to harvest themselves. Another signboard announces days when visitors can work in the garden. Anyone can participate, or attend workshops on seed harvesting or pickling vegetables. Amongst a grove of robinias, also in converted containers, are a garden bar and a kitchen. Groups of guests sit at homemade tables built out of drink crates and eat meals prepared with produce that has been freshly harvested from the garden. The Prinzessinnengarten is an urban vegetable garden. Here in the city center, on a plot that lay disused for decades, vegetables are grown. The garden owes its existence to the commitment of countless neighbors, friends and interested people. In just a few summers, their work, their passion, their diverse skills and ideas have transformed this forgotten place into a new form of urban greenery. The people and motivations that make this place possible are as varied as the garden itself. The Prinzessinnengarten is located in the Kreuzberg 36 district of Berlin, between Prinzenstraße, Oranienstraße and Prinzessinnenstraße, and is about the size of a soccer field. Here, exclusively agricultural crops are cultivated, locally and organically. The garden as a whole is mobile. The bar, kitchen, workshop and storage facilities are located in disused and converted shipping containers. Crops are planted in raised beds made from stacked crates or in rice sacks. A method of cultivation that is independent from the ground below, combined with the use of food-grade materials, allows for organic farming in a city where the lands available are usually either paved or contaminated. In addition, a mobile garden allows for the possibility of temporary use. The Prinzessinnengarten rents the land at Moritzplatz from the city. 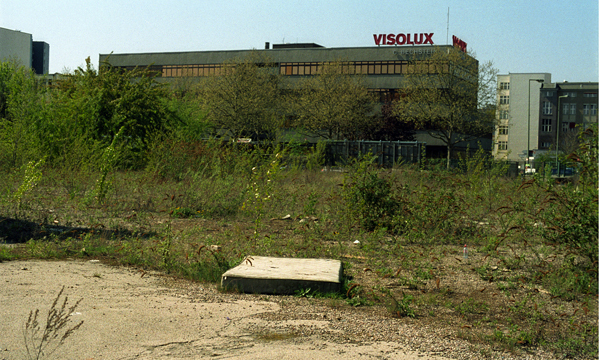 The possible privatization of this land could lead to the relocation of the garden to a different site. Income is generated through the garden’s restaurant and the sale of vegetables, from funds that we acquire for the implementation of various educational projects, from the construction of other gardens, consulting services, fees for images, presentations and guided tours, as well as donations in form of planter and garden sponsorships. Nobody owns their own bed at the Prinzessinnengarten. Many people are involved voluntarily in order to make a place like this possible. As a framework for the different social, educational and economic activities here, we have established a non-profit company called Nomadisch Grün (Nomadic Green), with the primary aim of making the garden a place of learning. Since we are mostly amateurs and beginners, the emphasis is mainly on informal learning. Skills are gained through practical experience and the sharing of knowledge. 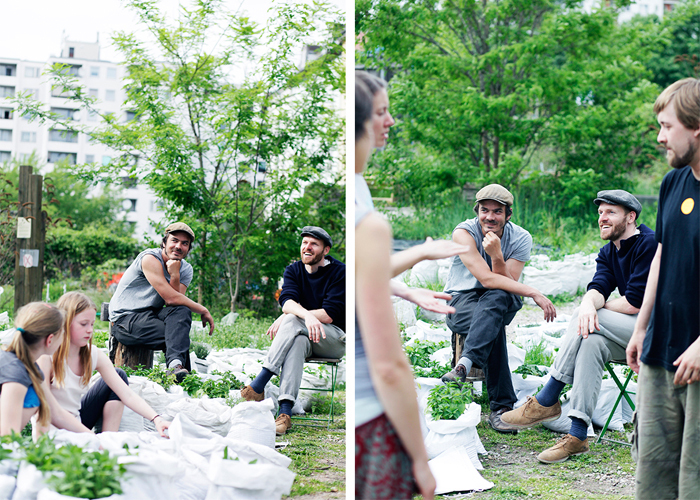 The Prinzessinnengarten is more than just a place to grow vegetables in the city. It is a space for diverse activities. Through the opportunity to contribute and to participate in open workshops, through the garden café and a variety of cultural events, the Prinzessinnengarten has become a lively meeting place with appeal far beyond the neighborhood. At the same time, it is an example of a new type of gardening in the city. Lately, more and more is being heard about gardens that have little to do with the typical ideas of green in the city or with parks, front gardens or allotments. Through such gardens and their participants, terms such as urban gardening, urban agriculture, community gardens, city farms or guerrilla gardening have found their way into common usage. This phenomenon can be observed in the most varied of forms in many cities around the world. Community gardens and urban farming projects are especially widespread in North America. The appearance and size of these gardens as well as the motivations and ideas of the gardeners may vary greatly in detail. What these gardens have in common, alongside the focus on local food production, is that they are developed as community projects and on their own initiative. In addition, gardening is not only understood as a pleasant pastime, with the garden as a private retreat. The alternative use of urban land, self-sufficiency and community work are also generally associated with wider societal issues. Through practical activity, this new garden movement takes up issues like biodiversity, healthy eating, recycling, environmental justice, climate change and food sovereignty. Urban gardens practically demonstrate an ecologically and socially different approach to urban spaces and their inhabitants, enable the social empowerment of marginalized communities, and are places where opportunities for local micro-economies and other economic models are being tested. In an unobtrusive and pragmatic way, such gardens raise the question of how we want to live in our cities in the future. The so-called Princesses Gardens in Kreuzberg offer a complex project that attempts to change people’s mind sets on a broader scale than most of the pragmatic solutions in the realm of welfare. 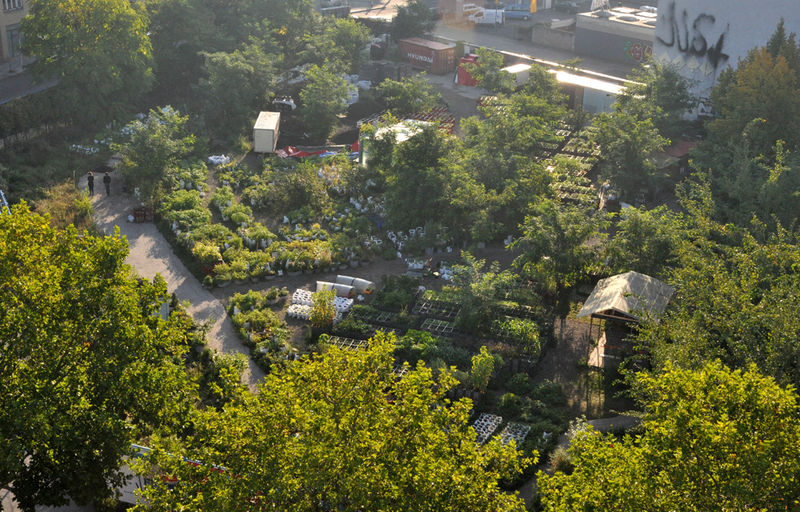 As a part of the international urban gardening movement, the highly attractive project pursues an alternative approach how to use urban space ecologically and sustainably … By creating a huge urban garden area on former wasteland in the centre of the district, the project demonstrates that cooperation and common learning among a heterogeneous urban citizenry is possible. “Princess Gardens” — and the name says it all: the urban agriculture and community farming lot is a beautiful and bohemian little wilderness with a touch of fairy tale. 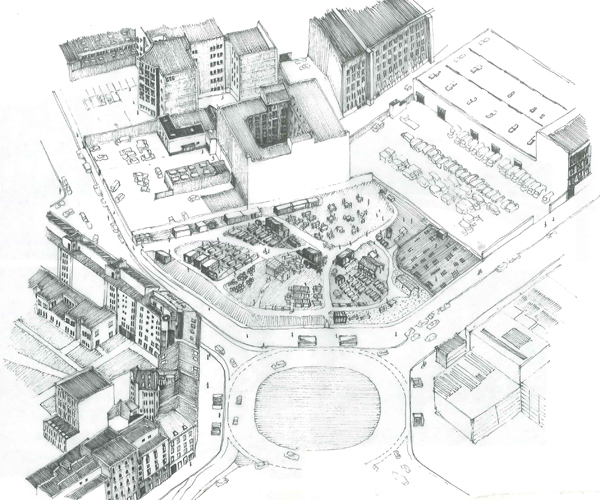 The cultivation of an open urban space seems an exciting proposition and probably an aesthetic cultural medium in which to try out new forms of living together and developing fertile community relations, and this might have consequences.